Despite the QE program in The U.S. and subsequent asset price strength along with improving labour market there are some early signs that growth may be faltering. This may result in flat to declining corporate earnings which would undermine recent strong PE expansion and price gains. 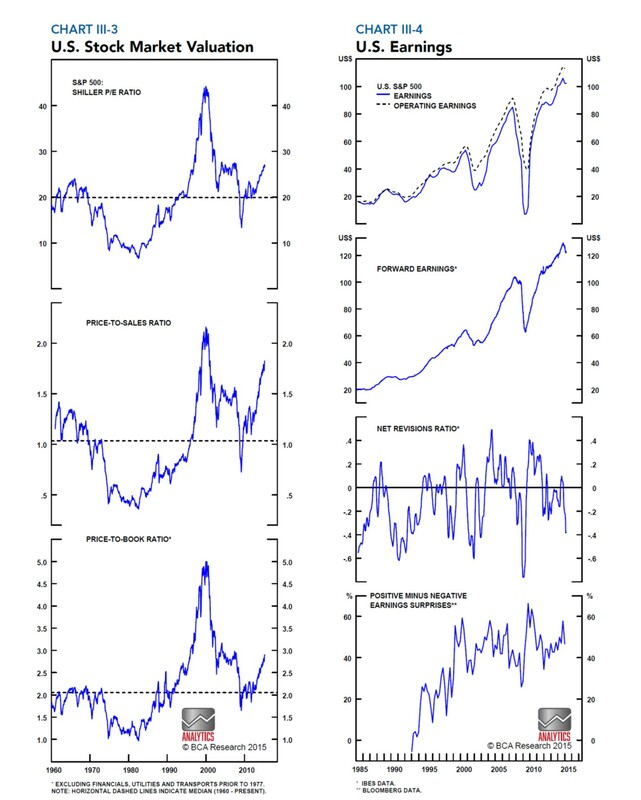 Markets are driven by PE expansions and earnings eventually although currently are driven by momentum. The strong USD will also act as a headwind for earnings.